Oh the classic ‘Whats in my handbag’ tag, I haven’t done one of these in a long time (If you fancy a look at my pre-baby bag post from way back in 2016). I don’t know why people find these kind of posts so interesting, but they just are – aren’t they? Anyway, this time it’s a little bit different as I’m putting a mum spin on a classic post idea and sharing "What's in my changing bag". 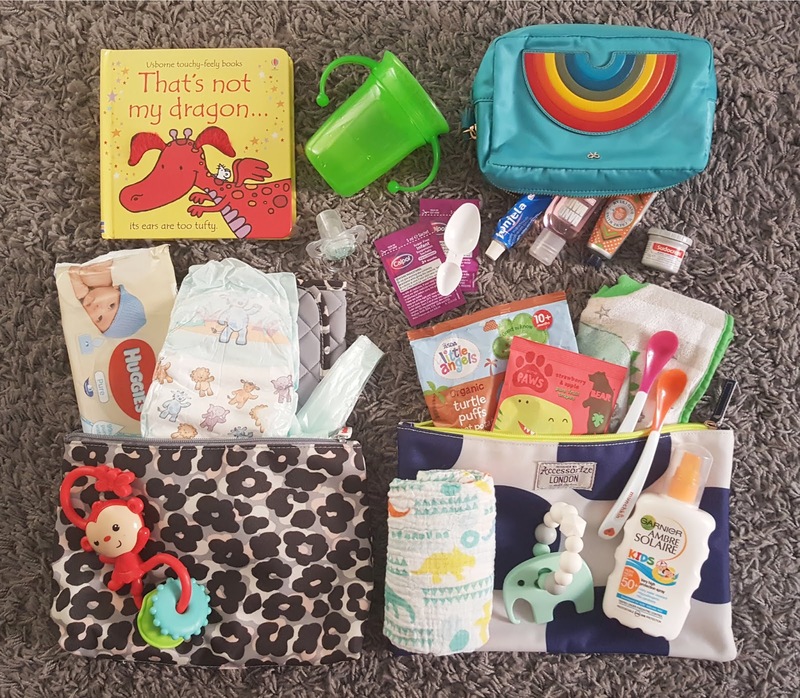 As a new Mum I knew that all parents carried round a changing bag, but what do you really need in there? Answer - everything baby could possibly need but now that my little boy is 14 months old, i have this changing bag malarkey down to a tee and now only carry what we really need. 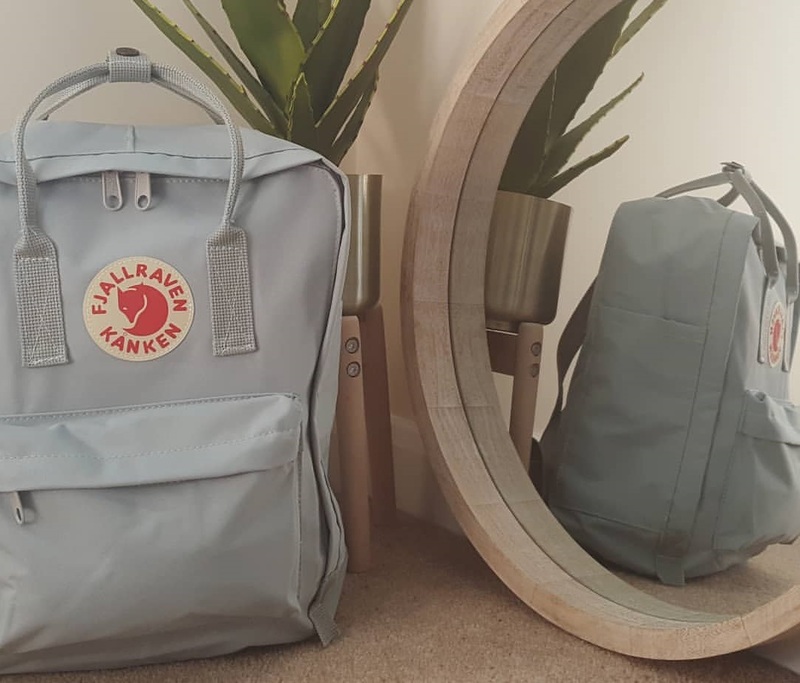 I also wanted to include in this post, a little review of my new changing backpack - the Fjallraven Kånken. First off choosing a new changing bag was actually a tough purchase for me, I knew I wanted practicality, hands free ease but at the same time something stylish to carry around and that doesn't scream changing bag. I love my original bag, which i got from Amazon before Mark was born, but now he is bigger and more mobile I wanted to move to a backpack style as its more practical. I fell in love with the range from Cath Kidston but sadly all of the bags are very floral and girly, and although beautiful I wasn't convinced they would go well with my very bold dragon print, Cosatto buggy! I really wish they did more boy prints, i know many mums' who would definitely buy. I also looked at the Tibi & Marl backpacks, whilst so beautiful and quality leather, they are for too expensive. So I decided to go for something a little different - a Fjallraven Kånken. Not actually designed for this purpose but I have seen this bag featured all over Pinterest, and having worked with the brand in a previous job I know it's a great quality piece and that it would work for my needs - spacious, practical but stylish. Originally designed for Swedish school children in 1978, the Kånken has become a well-loved and iconic backpack for everyone, both as a fashion and function piece. The bag features one large main compartment, with a laptop sleeve, a small zipped front pocket, two flat side pockets, adjustable straps and top handles - simple but very spacious. Available in three sizes (mini, classic & large) and a rainbow of beautiful colours (everything from yellow, to pink and a gorgeous shade of turquoise), there really is one for everyone! I chose the classic size (38cmx27cmx13cm) in Fog grey, as I wanted a gender neutral colour that works well with a navy printed buggy and that my husband was ok carrying....but lets be honest i wanted pink! if we have a girl in the future you better believe i will be going back for the pink. So my thoughts on the Kånken.... LOVE it! it is exactly what I was hoping it would be. The bag itself is a great everyday size, fits all little mans essentials in with a room to spare. As it only has one large compartment, I am now working on a pouch system inside so nothing gets lost - nappy, feeding and then a smaller one that contains medicines/other small items, plus it actually makes life easier especially for nappy changes to simply grab one pouch that has everything i need in one place. I also really like that the spacious main compartment has a large opening with a zip, which makes it easy to see and get items out even from the bottom of the bag. The straps are comfy to wear and functional as you can shorten them if not wearing as rucksack. Can also be carried by the top handles, but it also fits well onto the handles of the buggy or in the basket underneath. Made from hard-wearing, lightweight Vinylon F fabric, that is able to withstand dirt and wetness, makes it perfect for everyday use and i am not worried about it getting dirty even in such a light colour. I have only been using this bag for a few weeks but I am so happy with it, and I would definitely recommend to any mum's out there looking for a new hands free option - makes a great changing bag but could also double up as a kids nursery/school bag too, especially if you bought the mini version. Although slightly smaller in size than my traditional changing bag, I am actually glad as I wanted to streamline the amount of stuff I carry around on a daily basis and this has forced me to re-evaluate what we actually need in there but I have been pleasantly surprised just how much I can fit into this backpack, with room to spare. Additional items dependant on our day - a small lunchbox, sunhat, jumper/jacket, change of clothes. Most of the time i use a separate handbag for me, but on days we are just popping to a class or to the shops, the front pocket fits my keys, phone and card wallet in perfectly.